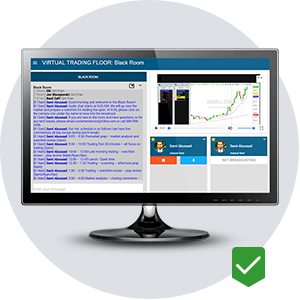 T3 Live’s Black Room lets you watch T3-trained traders buy and sell in real time. 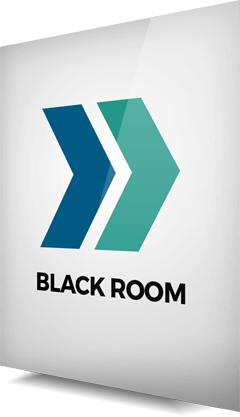 Join the Black Room and follow T3-trained traders as they buy and sell stocks and ETF's in real-time. Our live audio, video, and chat feed is the next best thing to sitting on our trading floor. Plus, the Black Room was designed to be a never-ending learning experience. Our experts are always available to answer your trading questions, and you'll receive bonus education features so you can build your skills while you build your profits! All positions that are displayed in the “trader display cards” on the VTF are updated in real-time and shown as “Long”, “Short” or “Flat”. All equity positions must trade more than 500,000 shares in average daily volume over the past 12 months to be displayed in the VTF. I.e. If a trader has a position in an stock that has traded less than 500,000 shares of average daily volume over the past 3 months, that position will not be shown in the traders display card on the VTF. Let Sami Abusaad, Ifan Wei, and Ryan Tonking guide you through the market. Our team tells you exactly when they’re buying and selling so you can take action too. Our team places a major emphasis on continuing education so you can build your skills. Join a supportive, helpful community that gives you constant education that will make you a better trader. The Black Room team will answer all your trading questions so you’ll never be left behind. Just wanted to let you know the Black Room is Awesome! I have only been in for 3 or 4 days but watching and trading with the T3 Pros is amazing. Thanks to all of you. I absolutely love the transparency and honesty with which T3 operates. Other trading rooms which I attended look like they are more about selling rather than helping you get on board. T3 is really different! Annual Black Room memberships come with a no-hassle money-back guarantee. That puts all the risk on us!